After Henry’s death she was finally able to marry her true love, Thomas Seymour, although this itself was marred by a certain tragedy as he was a bit of cad who flirted with her step daughter, the young princess Elizabeth, entering her room at night and stealing kisses. There is a famous and strange incident when Catherine herself held Elizabeth down while Seymour cut off her black gown. In the end Catherine decided enough was enough and sent Elizabeth away. They continued to show affection through letters, which shows that Catherine probably followed this course of action to protect Elizabeth’s reputation rather than out of spite, although it’s very sad to think she never saw her beloved step daughter again. There was to be further tragedy for Catherine after the birth of her daughter. She had been childless when she married Seymour, he was her fourth husband and she was about 35 years old, so it must have be a joyous and surprising moment when she realised she was pregnant. We know she helped reconcile Henry with his children and can see through old letters what a loving stepmother she was so she must have longed to be a mother in her own right. Sadly it was not to be and Catherine died shortly after the birth of her daughter, probably of childbed fever, the same condition that had taken Jane Seymour and many other women of that time. 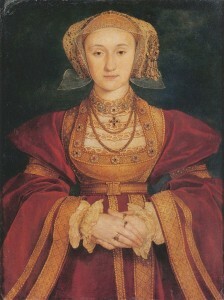 Anne of Cleves on the other hand, although she was cast off very cruelly by Henry, can, with hindsight, be looked upon as being quite fortunate, although she may not have seen it quite like that at the time! For a start she managed to keep her head. Whether by luck or good judgement we cannot be sure, but during the time when Henry was looking to dissolve their marriage she showed herself to be a submissive woman, accepting of Henry’s decisions, and as a result Henry’s manner softened towards her and he showed her generosity. As part of the divorce settlement Anne was to be given precedence over all the ladies in England, except the Queen and the Kings daughters. In addition she received a number of manors and estates worth around £3000, a huge sum in those days, which included Richmond Palace and Hever Castle, Anne Boleyn’s childhood home. All this was on condition that she stayed in England as Henry’s subject and lead a new life as the King’s adopted “good sister”. 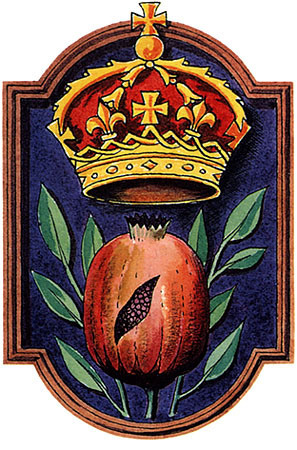 It is important to note that Catherine of Aragon refused to see herself as Henry’s subject after previously being his wife, so by accepting Henry’s will Anne managed to get a much better deal for herself. I’m sure Anne was playing a careful game here and was actually being very astute, for a start she knew what had happened to Anne Boleyn and this must have played a part in her submissiveness. With a settlement agreed their marriage was duly dissolved and Henry quickly married Katherine Howard which must have been very embarrassing for Anne, as was his subsequent marriage to Catherine Parr. Anne’s situation meant she was also unable to marry again and thus remained childless, this again must have caused heartache for her. However, at least she still had her life and was able to live as a financially independent woman. This was such a rarity in those days but a situation I’m sure many women would have actually envied. Anne remained on friendly terms with Henry until his death and there are stories about how he would visit his “sister” at Richmond to play cards. Anne was also very close to his daughter the princess Mary and was actually present at her coronation in 1553, riding in the coach along with the princess Elizabeth. Anne was also seated with Elizabeth at the coronation feast, Anne being the third lady of the land in order of precedence. The proceeding years were not without heartache for Anne, she longed to return to her homeland of Cleves, which was denied her, and letters to her brother the Duke of Cleves show she worried about money especially in regard to paying her servants. But still, no-one can deny that she fared better than the rest of Henry’s wives, two of which had the misfortune to be executed! In the end Anne outlived them all and has been commemorated at the grand Westminster Abbey in a tomb of black and white marble. History itself has been less kind to Anne, she’s the often forgotten wife of Henry and her looks have long been the subject of ridicule. Personally I don’t think her portrait shows us anything of this so called Flanders Mare, she’s actually quite attractive just perhaps not to Henry’s taste. Throughout her marriage and subsequent divorce she showed herself to be a brave and clever woman when dealing with Henry, submissive when the situation suited, and for that she should most definitely be praised. This entry was posted in Anne of Cleves, Catherine Parr, Henry VIII, Six Wives and tagged Anne of Cleves, Catherine Parr, Divorce, Henry's wives, Marriage by admin. Bookmark the permalink. Indeed a lucky woman … and I would bet good money … a smart one too .